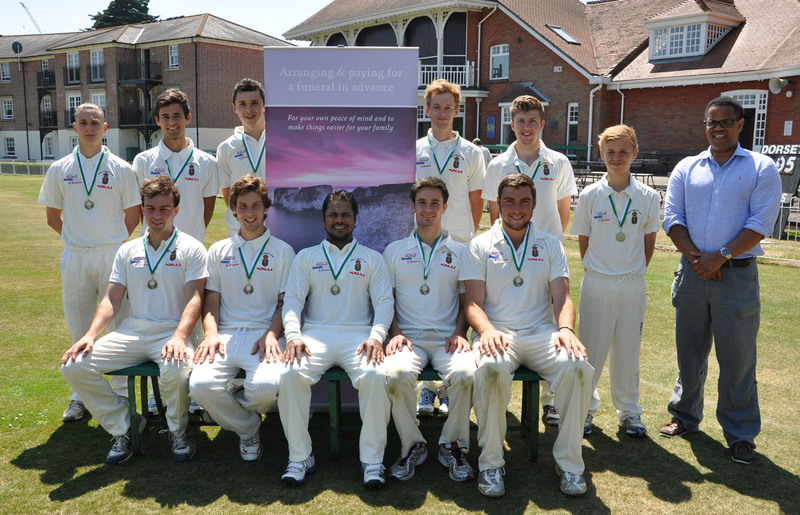 Unbeaten Parley picked up the Dorset Funeral Plan team of the month award for June – after a string of big victories. Perched on top of the premier league having won ten out of ten matches this season, Parley were an obvious choice for the award. Nick Douch (right) presents Parley skipper Roshan Embalagama with the team of the month award. During June, they beat Poole Town, Weymouth, Ferndown Wayfarers, Dorchester and Stalbridge. The win over second-placed Ferndown was by ten wickets, and they also racked up an impressive 308 for 3 against Weymouth. 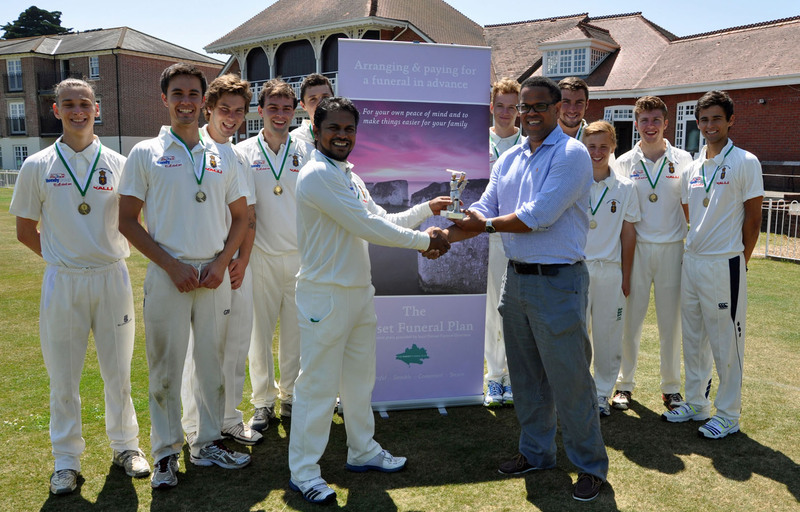 Skipper Roshan Embalagama was presented with a trophy and bottle of bubbly by Nick Douch from the Dorset Funeral Plan before the team’s game against Broadstone. Parley now play home games at the former Hampshire county ground Dean Park in Bournemouth. Roshan said: “We have quite a young group of players and we are unbeaten so far this season. Nick Douch said: “Well done to Parley. They are in a league with some strong teams with fine reputations so to go unbeaten means they must be playing some good cricket.